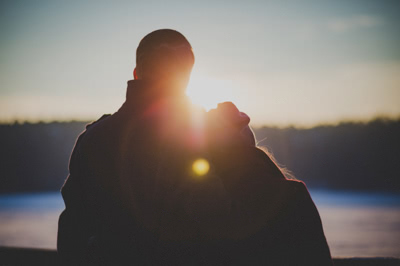 Snow softly falling on lantern-lit trails, crackling fires in artisan lodgings and fun Speakeasy experiences warm the heart for the adventurer, the romantic and the family. 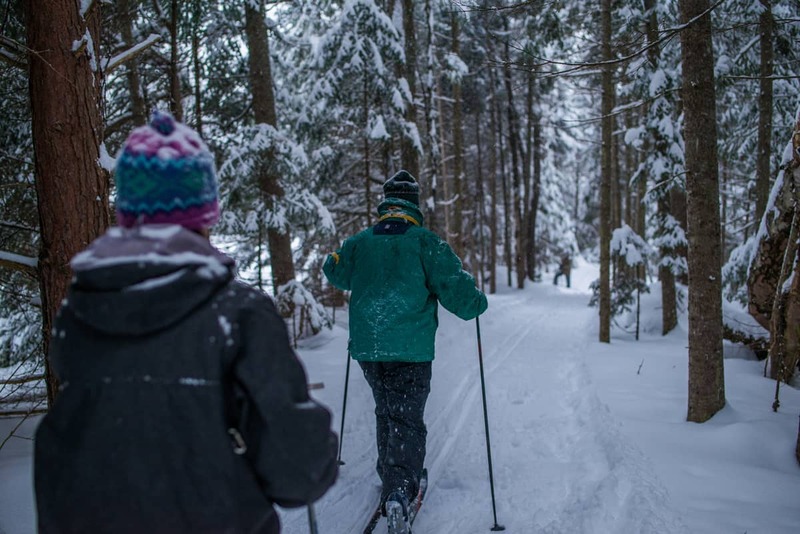 Lantern-lit Sleigh Rides, Speakeasy Dinners (shh, you’ll need a password to get in), Artisan Lodgings with bubbling Jacuzzi’s and fireplaces, History of Holiday Beer Workshops, cross-country skiing or snowshoeing on our nature trails and History of Adirondack Food Tastings. 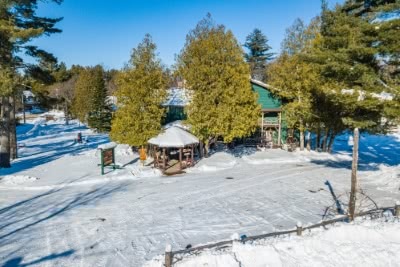 You can build your own New York Winter Getaway in one of the last original Adirondack Lodges operated by three generations of family. The Lodge began as a stagecoach inn in 1886. We keep that tradition alive by working with a local farm which provides hay and sleigh rides, and we may be the only one to offer lantern-lit experiences on trails that meander through our woods and down to the lake. In the 1920s it was an illustrious Adirondack Speakeasy, and you can visit the room where Einstein and others not so illustrious or infamous purportedly visited. We combine this cool history to create a Sleigh, Stay & Speakeasy Winter Getaway. Stay in one of our diverse range of artisan lodgings. Each hand-crafted by generations of family, from Supp & Snooze rooms in the main lodge to hand-crafted chalets with fireplaces and lake view suites with bubbling jacuzzis. 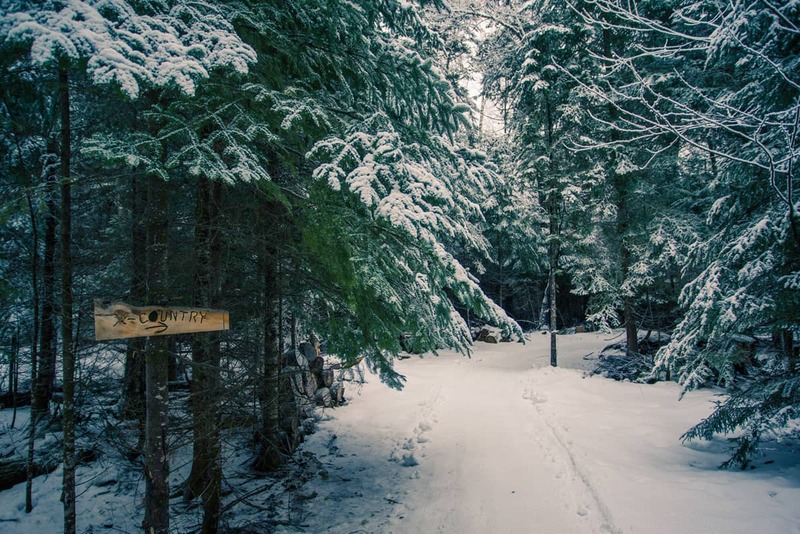 Your room is our 25-acres that include cross-country ski and snowshoe trails and access to the 1886 Main lodge with restaurant and Fireside Speakeasy. Provided by a local farm with draft horses and beautifully lit sleigh. Specially created sleigh ride trails meander you through the woods lit by lanterns down to the shores of pristine Lake Clear. 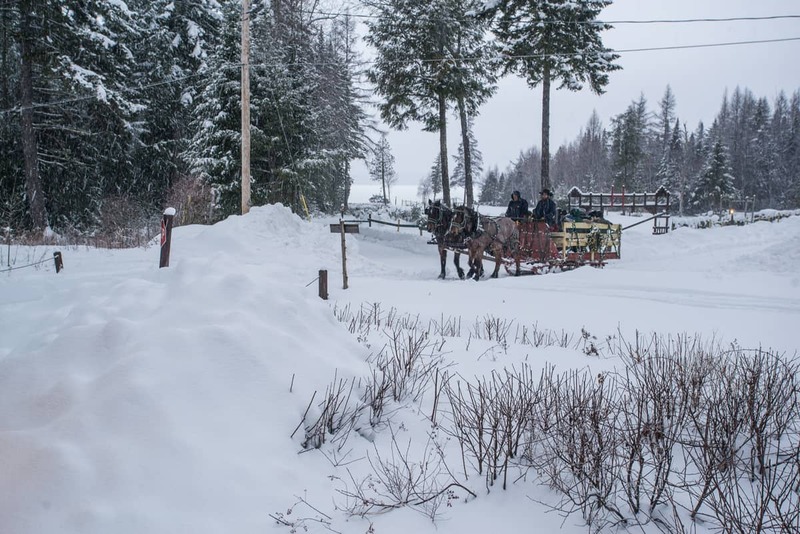 Learn more about on-property horse-drawn sleigh rides. (Shh…you’ll need a password to get past the hidden door!). Relive the time when the Lodge operated during the roaring ’20s. Our area was famous as the meeting point with the Canadian rum runners. 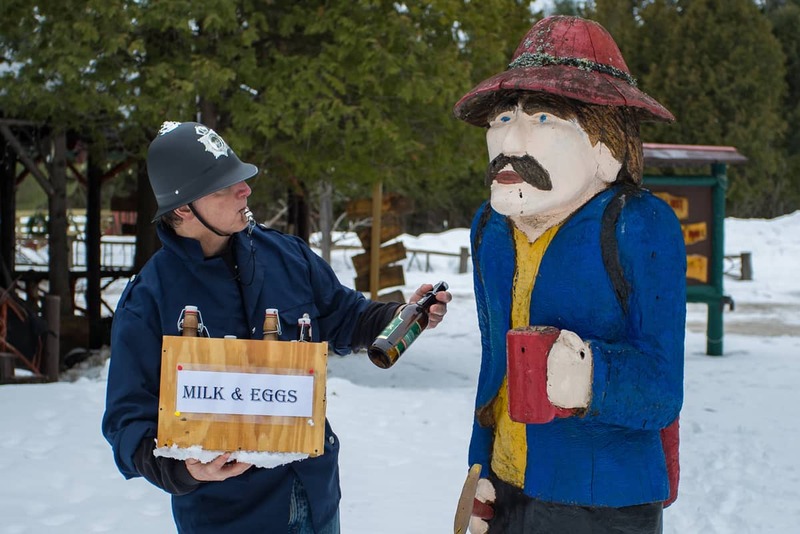 The Speakeasy experience includes a password to get in, a view of an authentic Speakeasy with immense fireplace, and of course a hidden beer and wine cellar that houses the Adirondacks largest selection of craft import beers from around the world. Beware we may be raided by a 1920s Copper, and you will need to work together as a couple or family to hide your booze in the hidden tables! A Great Camp dinner follows in our 1886 hand-hewn dining room. Take-in one of the many winter events from Carnivals to World Cup competitions.